At the end of my review of last year's show, I wrote that it would probably be another ten years before he played again. How wrong could I be? Just a year had passed and yet here we were, back at the Albert, for the fourth of five nights, with the knowledge that the previous night saw Benedict Cumberbatch on stage singing Roger Water's part of 'Comfortably Numb'. Would there be anybody here tonight? I doubted it. That said, there were some personnel changes from the show last year. Phil Manzenera wasn't here, his place being taken by Chester Kamen, Jon Carin was replaced by Greg Philinganes and the backing vocalists were joined by Lucy Jules. The concert started in a fairly relaxed fashion with the instrumental '5 A.M.' to get everyone in the mood, followed by 'Rattle That Lock' and 'Faces Of Stone', exactly the same as last year. We then had a change in proceedings with Pink Floyd's 'What Do You Want From Me' before returning to last year's running order with 'The Blue'. What turned out to be a highlight of the show was another change from last year, the version of 'The Great Gig In The Sky' was performed by the female backing singers. It was a rendition that was very, very close to the original, a point that wasn't missed on the gathering tonight. The rest of the first half was exactly as last year, with 'A Boat Lies Waiting', 'Wish You Were Here', 'Money', 'In Any Tongue' and 'High Hopes'. I have to add that the vocal harmonies in '...Waiting' were sublime. 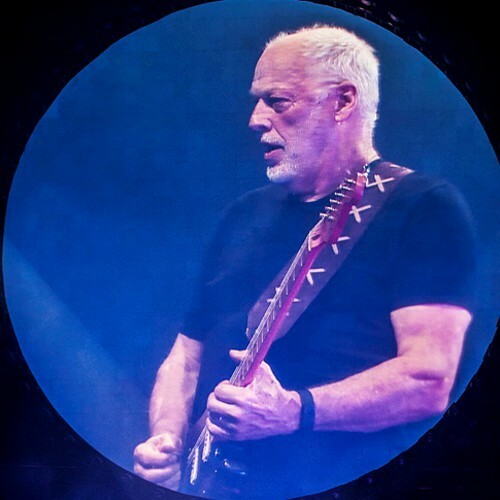 After a twenty minute interval, it was time to resume proceedings with the second half, which kicked off with another deviance from last year in the shape of 'One Of These Days', a track that was instantly recognisable with its echoed bass intro and the only thing missing was the flying pig. 'Shine On You Crazy Diamond Pts I-V' was also instantly recognisable with its extended chord intro, it was a track most of the hall sang along to. 'Fat Old Sun' followed, before the final change from last year, another Floyd song 'Coming Back To Life'. One thing I had noticed at this stage was that there was a distinct lack of lasers for this show, which was a little unusual. There was a brief flash earlier in the evening, but nothing since then. 'On An Island', 'Us And Them', 'Today', 'Sorrow' and 'Run Like Hell' (with all the band donning sunglasses) took us to the end of the main set. After a short break, they were back on with 'Time', with the iconic clocks animation, and then we knew that there was only one thing missing. 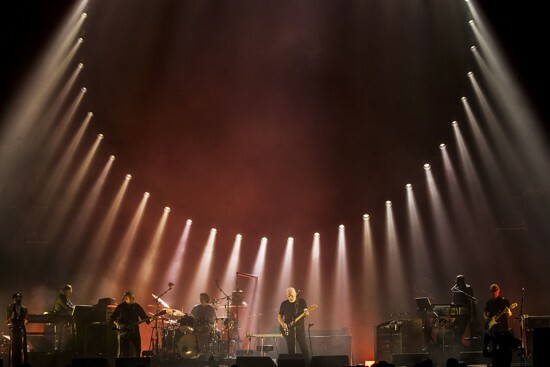 And, as the opening chord to 'Comfortably Numb' filled the hall, it was closely followed by the lasers, which tended to suggest that to some extent they had now been fixed, although they were not as extensive as last year. So, that was it yet again. Another excellent show and one that I felt was slightly better than last year musically. 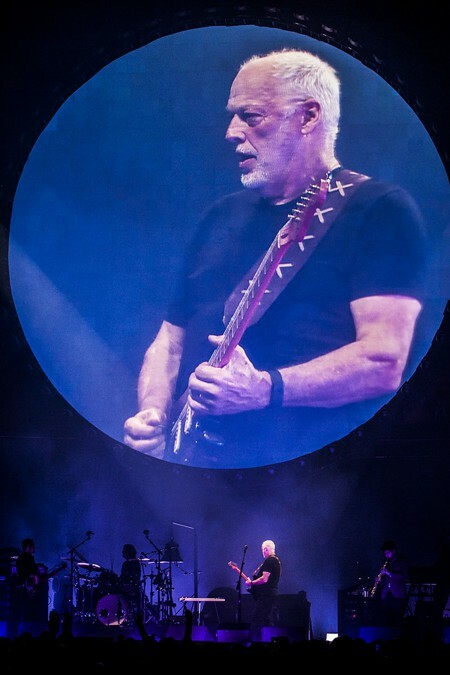 Do I think that David Gilmour will come out and play here again next year? I have no idea, but what I think would be a welcome development would be if he enjoyed these shows so much that he was willing to do shows in other parts of the country. Oh, is that a tour?